Every newly-wed bride wants to look beautiful and pretty and her attire plays all the game. Generally in India, bride’s are supposed to wear sari’s at least for few initial days of marriage. Actually after getting married and getting back from honeymoon, we Indian brides are supposed to visit relatives house for some dinner or lunch things. And this is the time when we girls have to wear sari’s, lehenga’s or some heavy suits at least such as floor length anarkali etc. 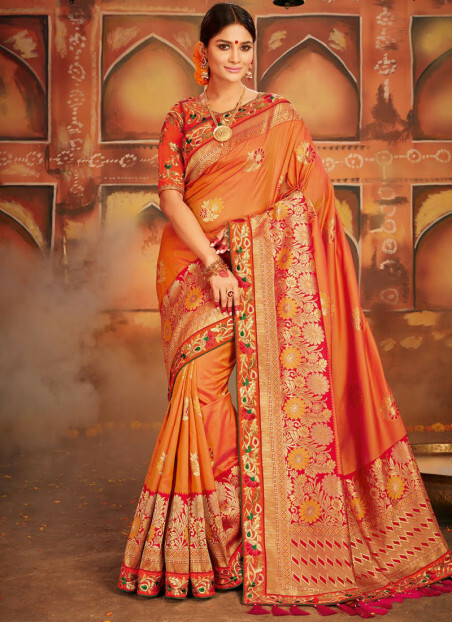 Thus for those initial days of marriage, you need to have a good collection of bridal sari’s in different color such as a pink sari, yellow sari, blue sari or a peach sari. 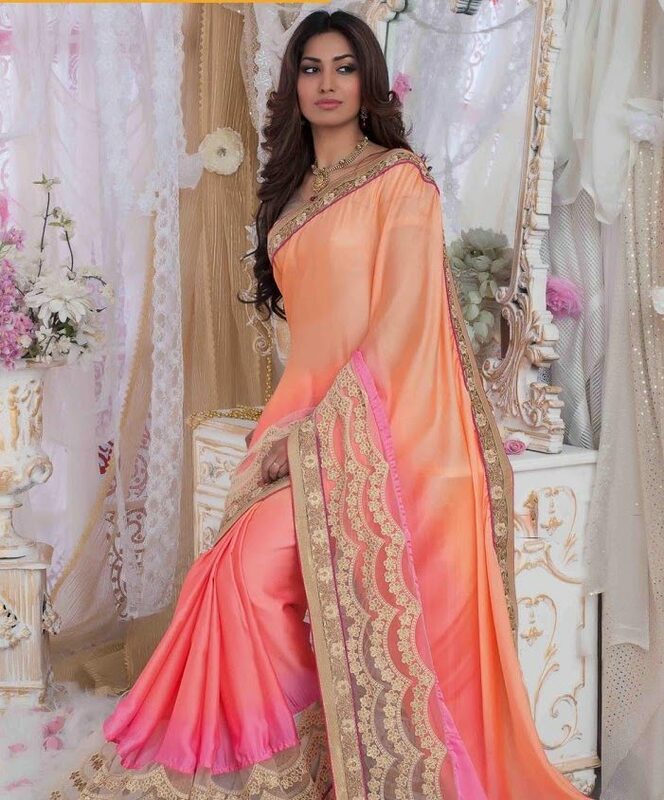 We hope you like these 5 peach sari’s! Which one is your favorite? oh these are all so gorgeous!